It’s Day 3 of our Eating from the Pantry Challenge and the fridge and cupboards are getting barer. And we’re almost finished with all the packing, too. Just a few little odds and ends and part of our bedroom and we’re D-O-N-E! Yay! It was a beautiful day and we made the most of it by spending a few hours in the afternoon with some friends at the park. 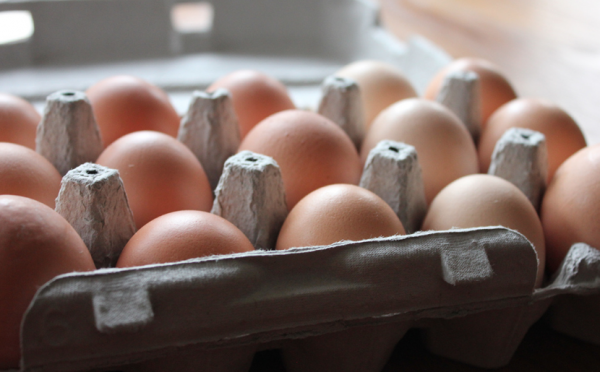 Don’t you just love the beauty of farm fresh eggs? I found a club soda in the cupboard, so I introduced the kids to it. They weren’t big fans, but I loved it with a little lime juice. So refreshing! Popcorn is a favorite snack at our house! It’s been a few weeks since we’ve made it, so it was a great from-the-pantry snack for today! Are you eating from the pantry this week? If you are, leave a comment telling us what you ate today. Or, if you’re blogging about this challenge, leave a link to your direct blog post below that details what you ate for the Pantry Challenge today. I can’t wait to see your creative ideas! Looking for more? Read more posts about Eating From the Pantry. Crystal- I notice you are eating salads this week for lunch. What do you use as dressing? I don’t use dressing either. Growing up in another country, I’d never even heard of salad dressing until we moved to the states. 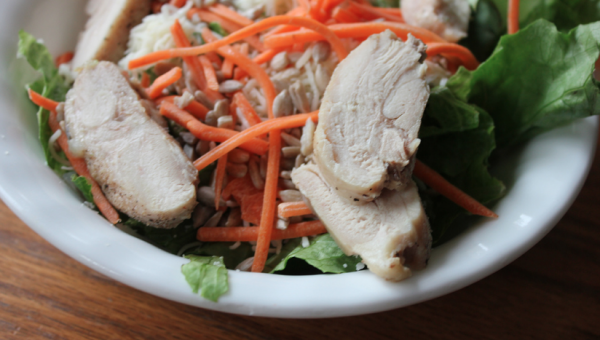 We just squeeze some lime juice and a bit of salt on our salads and it tastes great. We’re not eating from the pantry all week, but we were well overdo for our weekly trip to the store so we were making it until I went tonight. I went to the store tonight…fresh fruit again…yay!!! Today wasn’t too interesting. There was enough leftovers from the last two nights that I didn’t have to cook dinner, so that’s good. Breakfast was hard boiled egg. Lunch was a salad. Dinner was leftover Chicken Makhani from last night. I’ve been enjoying this challenge! Can you delete #3 from they linky? The link isn’t right. Sorry. We had another meal made from Easter leftovers last night. This morning I am making Kielbasa and eggs for breakfast and that will finish off all of our leftovers that are in the fridge. Tonight we are having a party for our daughter’s birthday (it is actually an engagement party but she doesn’t know that yet) so no pantry eating tonight..we will be feasting. Your popcorn popper looks as old as mine. LOL. I got it my freshman year in college (at age 18) and I’m 46 now! The yellow plastic on top has split in two but it still works great. 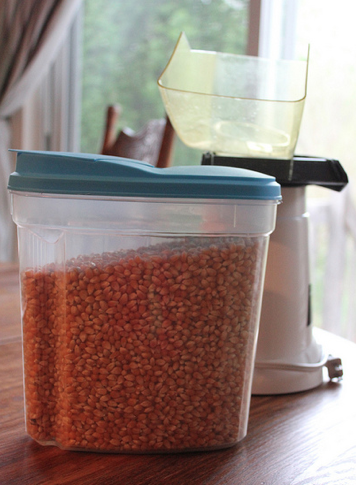 With a bag of organic kernels at $2 a 30-year old air popper, can’t get more frugal than that! We love our air popper! Cereal for breakfast, baked potatoes with canned chili for lunch, and chicken with brown rice and frozen green beans for dinner. Hey, can anyone help me out? My husband and I both work full time. We have a large family (six kids) and are having trouble with two things: 1. staying in a reasonable budget for food, even with two full time incomes it is often a struggle (esp since my job only pays minimum wage) , and 2. finding the time/energy to actually cook healthy meals. Any suggestions? 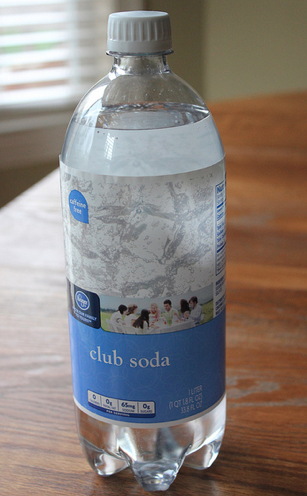 I love club soda with lime as well; a treat for me is when I can find La Croix BOGO at Winn-Dixie! Its always a little treat for me, and I find it helps with headaches and stomach discomforts as well! I just saw this challenge yesterday. We ate spaghetti with italian sausage pasta sauce and fried popcorn shrimp. Everything was in our stockpile. It was yummy. probably will use pasta and tomato souse frozen meatballs. Not planning to eat from the pantry all week but we were overdue for a trip to the grocery store so we had scrambled egg burritos for dinner. Sauteed all the veggies I could find in the fridge for toppings, along with cheese and salsa. We have the same popcorn popper. The kids always get a kick out of watching the popcorn pop and jump into the bowl. 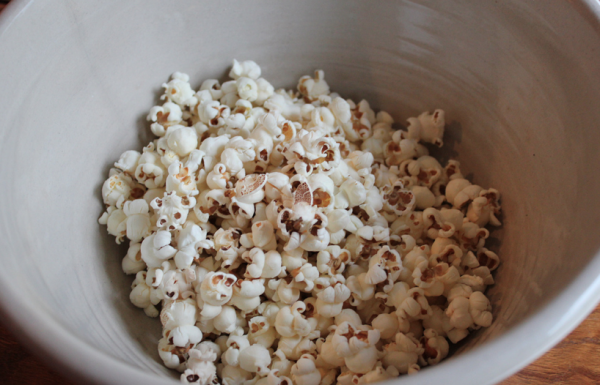 Plus the occasional half popped one that comes out and fully pops in the bowl and sends popcorn flying is funny. They know to stand a couple steps back once it’s almost done. Our day 3 challenge is posted on my blog. Before I began living within my means, I didn’t really think about the food I already had when I was doing meal planning. I never actually planned our meals. It was either pick up something from the grocery store on the way home or stop at the closest fast food restaurant. The food in my freezer and shelves just sat there going bad because I didn’t have the time or take the time to prepare it. Those free spending days are gone, and my family and I are having some of our best meals cooked at home and all the ingredients are pulled from our kitchen shelves and/or the freezer. I do not enjoy cooking so my meals are usually quick and simple. Some of my staples are tuna, chicken, frozen veggies, pasta, and potatoes. I try to make a dish large enough so that we can have left-overs the next day. Нашел в интернете популярный сайт на тематику www.teplostroy.biz.ua.